analyzed by people who understand survey research and can provide effective analysis. Further, in the interest of building a relationship of honesty, integrity, and trust, among organization employees, the results should be communicated effectively and acted upon by the organization. Finally, the organization's managers need to track progress and communicate implementation successes and failures. This article does not attempt to provide a comprehensive guide to performing employee satisfaction surveys and leading employee focus groups. It does pinpoint five practices to embrace when conducting employee surveys and focus groups. I have mixed emotions about confidential or secret surveys. On the one hand, I want the employees comfortable responding truthfully. On the other, the reason employers do employee satisfaction, or customer satisfaction surveys is to telegraph their openness to employee input. The second is to understand what is on their employees’ minds genuinely. While I recognize that some employers have differing motivations, companies that are employee-oriented, are unlikely to use the information gathered negatively. If you start with an open process, employees will learn that their employer can be trusted to use the information in their best interests. As an external consultant, I always explain to employees that my purpose in talking with them is to share information for the common good. Consequently, my promise about confidentiality is that I will use the information to assist the company to make positive progress. No one is as familiar with your company culture as the people who work in the company every day. A small group of employees should determine the topics of the questions to ask. These questions will relate to the perceived likes, dislikes, and challenges your employees might experience in your organization. Once you’ve determined the topics of the questions to ask, develop questions. Your questions should be evaluated to make sure they are not leading to a desired response, vague, or open to interpretation, depending on the employee reading the question. Leading questions or statements are a problem when unqualified individuals develop the survey questions. An example of a leading statement that will also receive a biased answer is: My manager’s door is always open to me. An example of an unclear statement is: My career development and job satisfaction are improved by the performance development planning (PDP) process. Some professional survey firms have developed databases of questions that have been determined to be effective through years of employee or customer satisfaction surveys in different organizations. You might tap into this service even if you don’t want to employ an external company to administer your survey or lead your focus groups. If you take employee groups offsite to participate in surveys and focus groups, you are sending a clear message that it is not “safe” to talk about employee satisfaction in the company. It is exactly the opposite of the message that you really want to send. Your message? It is safe to share what you think. The company cares about what you think, and the employer is providing the space and privacy necessary for your participation. While you don't want to know that Mary made that observation, you do want to know that three versus thirty employees made the observation. If you work with a consultant to administer an employee satisfaction survey or run employee focus groups, make sure you will have access to the data. This access to the data and analysis will allow you to assess the degree to which various opinions permeate your workforce. The data will allow you to make your own assessment of employee satisfaction. Particularly correlation analysis and other data charts and graphs are important for you to access. I was once asked to analyze the data from an employee diversity survey that superficially appeared to indicate that the Human Resources department surveyed had serious diversity appreciation issues. With statistical analysis, not my specialty, I hired a statistician to professionally analyze the data for me, and we found the opposite. No statistical proof of a lack of diversity appreciation existed upon data analysis. So, maintain access to the data and the analysis. Employees should never self-select to participate in an employee focus group or survey. When you allow self-selection, you’ll generally find that less satisfied or very satisfied employees sign up for the group. Or, your more communicative employees are more comfortable expressing their opinions in a group. Your less communicative staff is guaranteed to be unrepresented. 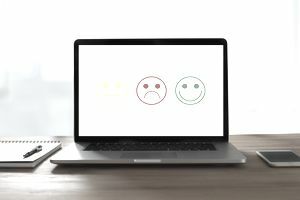 In a recent debrief of a client’s employee focus group process, several of the more negative findings were stated in the exact words a disgruntled employee had used to express the exact sentiments to me the week before. How many employees actually feel that way? We'll never know for sure. Access to the resultant data and the selection process for participation in the focus groups was controlled by the external consultants. For valid and reliable results, either every employee should be included in the survey process, or a random selection method should be employed to decide who to include. To ensure widespread participation, perhaps offer an incentive, either company-wide or for individuals. You can use a simple paper and pencil instrument, an online survey, or a much more sophisticated process to assess your employees' satisfaction. I've used everything from a data analysis by the internal IT department of an online, internally produced survey to an outside survey consulting firm with tried and true questions. Some fundamentals for successful, trustworthy employee satisfaction surveys and focus groups exist in each instance. I have reviewed five important factors here. Ignore them, and you may obtain a false understanding of your employees' satisfaction. Your results may skew positively or negatively based on the skills of your facilitators or survey producers and the employees who decided to participate. Worst, you may have sent the wrong message to your employees about the safety and worth of communication in your company. Do this at your peril.